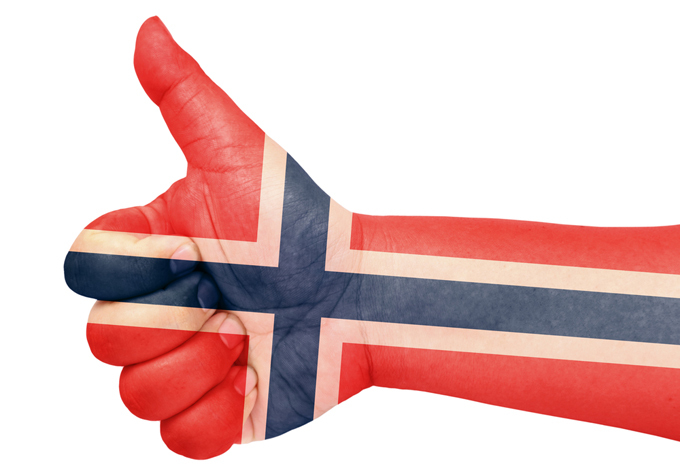 the Norwegian language and the challenges of iGaming localisation. The standard of living in Norway is among the highest in the world and the country’s economy is one of the most competitive economies globally. Needless to say that Norway always ranked high in every “Best Country” poll of the past 50 years. With $11.5 billion in online sales of goods and services in 2013, Norway surpassed Denmark to become the strongest e-commerce country in Northern Europe. Norway presently has some of the tightest gambling legislations in Europe. And since Norway isn’t a EU member, its government is not subject to the same pressure that Finland and Sweden are to reform its gambling laws. There are two state-owned companies that are allowed to offer gambling services to Norwegian players: Norsk Tipping and Norsk Rikstoto. Norsk Tipping provides with a wide range of lottery (Lotto, Viking Lotto, Keno, and Joker), sports activities gambling and instant games, while Norsk Rikstoto is a foundation that was granted the exclusive right and responsibility for all commercial gambling activity related to horses. Norwegian Culture Minister Thorhild Widvey: I hope we can have a regulatory framework in place in time for a Norway Championship of Poker to be held in Norway in 2015. Although the slot machines industry grew very fast, slots were banned in Norway in July 2007. Slot playing was reintroduced in Norway as interactive video terminals in 2009. Except games offered by Norsk Tipping (that went online in 2002), all other forms of online gambling are illegal. In late 2005, Norsk Tipping started to provide most of its games via mobile phones. But this entire story looks like it could change, at least somewhat in the near future. In September 2014, the country’s Culture Committee has requested an impact assessment on what would happen if dramatic gambling regulation would totally legalise online games and, therefore, completely open up the Norwegian market. The committee is using Denmark, Sweden and UK as case studies, before drafting new gambling laws. The Norwegian government hopes to replace the current framework with a new one this year (2015). It is reported that in 2013, Norwegians spent a total of $4 billion on gambling regulated by Norwegian law. This is the gross amount staked before deduction of any winnings. All-In’s Norwegian translators can offer valid and accurate translations/localisations of gaming websites, with knowledge and experience in the specific terminology and latest industry trends. Contact us and learn how we can help your business get its Norwegian voice. The Norwegian Gaming Language is closely connected to the fact that the gaming market is regulated by a state monopoly. The state gaming monopoly is officially referred to as ‘Norsk Tipping’ which loosely translate to ‘Norwegian Betting’, and you don’t have to look further to start the highly relevant linguistic discussion of Anglicism in gaming. ‘Tipping’ is traditionally referred to as betting on sports, originally used to describe a form of sports betting where you chose the outcome (1X2) on one betting slip of 12 football games played during a weekend. You are given the (costly) option to ‘halvgardere’ and/or ‘helgardere’ which are literally translated as to fully (1X2) or partially (X2) protect one’s retreat. This traditional betting variant is still being offered, but as Norwegian Betting expanded its games portfolio to include options for everyday action in order to compete with online gaming companies like Centrebet and NordicBet, betting on fewer games per betting slip became increasingly popular. The state gaming monopoly chose to brand this betting type as “Oddsen”, which translates from Norwegian into English as ‘The Odds’. ...there is still a great deal of discussion regarding best practice of Norwegian gaming translation. More and more online gaming sites choosing to translate and localize their betting, poker, bingo and slot machine platforms from English to Norwegian, but there is still a great deal of discussion regarding best practice of Norwegian gaming translation. As we have shown, a key term for discussion is ‘betting’, as in the activity of predicting sports results and placing a wager on the outcome. There are three translations of the word that are all correct in a strict sense, but we have a strong preference towards using the Norwegian translation “odds”. “Tipping” connotes both to the state gaming monopoly and to the traditional 12-pick betting slip, whereas “vedding”’ connotes a closer connection to gambling. Gambling is a word frowned upon per definition as it is the opposite of gaming which typically refers to instances in which this activity has been specifically permitted by law. The Norwegian translation of ‘betting’ as “odds” has two further advantages. First of all it translates identically in singular and plural, offering a rare simplification in a language with rather complicated grammar. The second advantage is also about simplification. “Odds” in Norwegian must be considered Anglicism, as it descends identically from ‘odds’ in English, which is defined as the ratio of the probability that an event will happen to the probability that it will not happen. The term “odds” is also used as a Norwegian poker term, usually put together as pot odds which refers to the ratio of the current size of the pot vs. the cost of a call. So if you find yourself playing poker against a Norwegian player in a live casino (not in Norway as casinos are banned) and you hear him say the words “implisert odds”, he is talking about implied odds – the possible future size of the pot, and you should tread carefully as he probably knows what he is talking about. At All-In Translations we are firm believers that Anglicism should be avoided when equally good translations are at hand, but not at the cost of an awkward sounding translation that is less understandable. As you can see the Norwegian syntax and wording is very similar to English, which gives few problems when gaming language is localized.